A Mad Catastrophe: The Outbreak of World War I and the Collapse of the Hapsburg Empire. Geoffrey Wawro, Basic Books, 2014, 472 pages, maps, photos, graphs, ISBN 978 0 4650 2835 1, $29.99. The author teaches at North Texas University and also wrote The Franco-Prussian War (Cambridge, 2005) and The Austro-Prussian War (Cambridge, 2007). This is an artfully composed and thoroughly researched primer on an often ignored or minimized aspect of the Great War: The key role of the ramshackle Dual Monarchy of Austria-Hungary. Both the short- and long-term causes of its outbreak can be traced to the Habsburg worldview and the Empire’s fissiparous political structure situated astride Central Europe. Barely recognized as a great power, Austria-Hungary’s rudimentary industrial capacity was unequal to supporting a sustained conflict and its army ill-equipped and ill-trained to fight one. The compromise of 1867, forced upon Austria in the wake of its massive defeat by Prussia, was the source of much of the Dual Monarchy’s weakness. The Hungarians, who, like some other constituent parts of the empire, had their own parliament and ministries, were generally uncooperative in paying taxes to support joint endeavors such as defense, starving the army of recruits and cash for training and modern artillery. 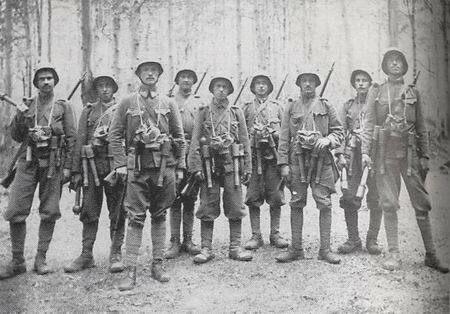 In 1900, only one man out of 132 was a soldier compared to one in 65 in France, one in 94 in Germany and one in 98 in Russia. This yielded an army half the size of France or Germany and one-quarter the size of Russia’s. Moreover, the army clung to outmoded tactics, attacking in massed battalion columns against repeating rifle and machine gun fire. In the years immediately prior to WWI, the Hungarians gave only lip service to the joint monarchy, paying only 34% of the common tax bill. 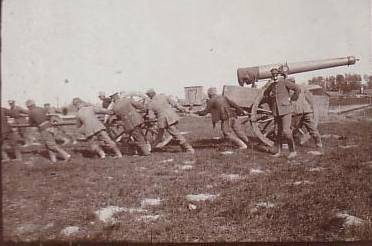 In the opening battles of 1914, Austro-Hungarian arms suffered two million casualties and achieved nothing. Worse still, the army and government lost any sense of cohesion. Lacking the industrial or financial base to sustain a long war, Austria-Hungary’s fatal decision to enter the war in the first place is exceeded only by its recklessness in mounting a series of futile offensives in 1914 and early 1915. Quick victory was beyond reach. As a result, its army was more than simply decimated, its best troops and officers were dead or captured by the spring of 1915 with no trained replacements available. Thereafter, Austria-Hungary scraped the bottom of the recruit barrel for boys and old men even as a new front opened against former ally Italy. The army was defeated not only by the Russians in Carpathia, but also by the outnumbered Serbs along the Drina River. Whatever hope Germany had of winning the war was obliterated by the humiliating Austro-Hungarian defeats of 1914. Rather than concentrating its forces against the British and French along the decisive Western Front, Berlin was obliged to again and again come to the rescue in the East, chaining itself to the corpse of a collapsing Habsburg Empire. Michael Reynolds is associate professor of Near Eastern studies at Princeton University. His 2011 book “Shattering Empires: The Clash and Collapse of the Ottoman and Russian Empires 1908-1918” received the American Historical Association’s George Louis Beer Prize for international history.